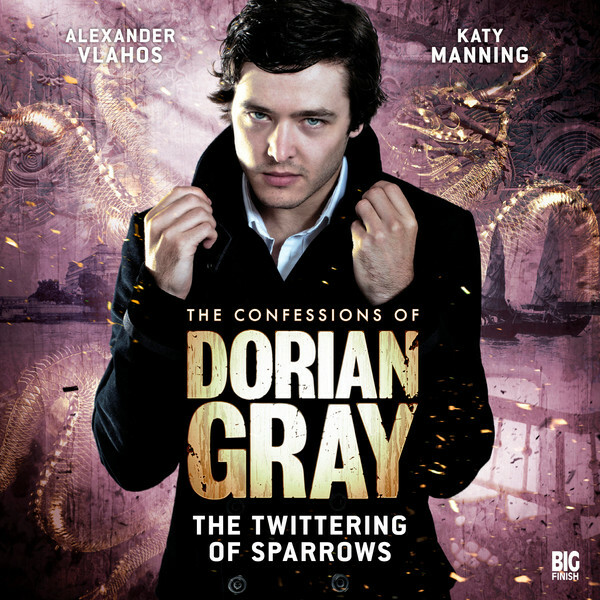 Big Finish: The Confessions Of Dorian Gray – THE TWITTERING OF SPARROWS Review | Warped Factor - Words in the Key of Geek. If you’re going to write a character who’s immortal, here’s something you should know: they come with responsibilities. Responsibilities on you the writer to make their lives interesting, to have them do things with their immortality. The story that’s never yet been written is the story of the immortal who stayed forever in their own family home. Or at least, it has, but the reason we join Dracula when we do is because that’s when things get interesting. Dorian Gray, immortal, amoral, easily bored and easily contemptuous of the boring, has gone travelling, according to Gary Russell, writer of Episode 3. By 1956, he’s especially interested in the paths of doomed explorers, which makes a perverse sort of sense: if you can’t be killed by any of the things that probably killed the doomed explorers, it’s probably extremely interesting to try and find them, and work out what actually did for them. That said, Dorian appears not to be a natural explorer – possibly he’s too much of aesthete, because he never seems to have found any evidence of the doomed explorers or what actually happened to them. But he heads to Singapore to meet an old lady who survived an apparently ridiculous shipwreck. Isadora Rigby is nearly ninety, and spends her days now playing Mah Jong with other, much younger ex-pats in one of the last hold-outs of the British Empire as it always used to be. But the old lady has secrets that make her worth Dorian’s time of day, and besides, she knows his own, and has summoned him to Singapore to do a very specific job. Mah Jong, for those that don’t know, is an ancient Chinese tile game of complexity and symbolism. Among its structural components are the ‘twittering of sparrows,’ the building of walls, and a trio of dragons – the red, the white and the green (or traditionally jade). Isadora Rigby is a lady who knows about the power of dragons. She needs Dorian in Singapore because she’s getting old and he isn’t, and meanwhile, the sparrows are twittering, the walls are falling, and the dragons are sensing an opportunity to be free. The job she’s tracked him down to do is a dark business, and she believes he can do it not because of his international reputation as a clever immortal, but because of her personal knowledge of his potential for callousness. It’s worth mentioning at this point that Isadora is played by the irrepressible Katy Manning – that’s important, because Isadora’s a many-faceted character, an old woman who remembers the pleasures of youth in a different era – in fact in 1956, she’s almost the age that Dorian would be were it not for his bargain with the Devil, and it takes an actress of Manning’s stature to do her justice. With assistance from Wilf Scolding as Alasdair Bellamy – a character stronger and more complex than he at first appears, and one to whom Scolding adds surprising depth and fortitude – Alexander Vlahos and Katy Manning waltz their way through a story of ancient powers, unstoppable forces, immortal rivalries, complex games and horrifying choices, of the kind you might be growing used to finding in The Confessions of Dorian Gray. In fact, faced with Manning’s Isadora, Vlahos ups the energy quotient of his performance, speeding the waltz along on a wave of vitriolic banter, which Manning can play with and bat back to him, spinning and fizzing with the punch and power of Russell’s script. The energy ramps up and up until the nature of the job, the nature of the bargain that Isadora’s tempted Dorian to Singapore to seal is revealed, at which point there’s a ghastly, growing pathos that unites the two against the forces of a greater power than either of them separately. It takes a creature of Dorian’s perfect face and rotten soul to do the deed that Isadora needs of him, bringing a unique Dorian Gray spin to what started out as quite an ordinary episode. It’s dark, it’s amoral, it’s business as has become appallingly usual to Dorian, and after it, he’s similarly businesslike, despite the affair marking the end of a very personal era. You couldn’t cast a hero in an audio story like The Twittering of Sparrows. You absolutely need someone as morally corrupted as Dorian, the absolute anti-hero, doing the thing he has to do not because it’s right, but because it’s necessary, and because he of all people can claim the right to do it. The Twittering of Sparrows is probably the darkest of the first three episodes of The Confessions of Dorian Gray – which is saying something when you consider there were Babylonian demons in the wallpaper in Episode 1 and souls intent on homicidal vengeance in Episode 2. The scary thing is you probably won’t see the true solution coming until that shift in the energy, and then everything will fall into horrifying place. The script from Russell is like a game in itself, the initial bluff, the advancing of particular pieces, their clashes, and then a gambit seemingly from nowhere that changes your understanding but makes a sick sort of sense of everything that’s come before. Listen to The Twittering of Sparrows today, and do a dark dance with Katy Manning and Alexander Vlahos.